Image: Masatoshi Okauchi, Matt Baron/Shutterstock. Nearly three years after first announcing their then-surprising split, Brad Pitt and Angelina are officially single once more. Per documents obtained by The Blast, the former couple was granted a bifurcated judgment on Friday allowing them to revert back to single status before their divorce is finalized. According to The Blast, Pitt and Jolie wanted a bifurcation because they were ready to “get on with their lives” and needed to move on emotionally — the move was not, sources told The Blast, motivated by any purported new relationships on either side. Now that the bifurcation has been granted, Pitt and Jolie will still have to negotiate the remaining details of their divorce. Those details include things like hammering out specifics of shared assets, as well as coming to a custody agreement for their kids: 17-year-old Maddox, 15-year-old Pax, 14-year-old Zahara, 12-year-old Shiloh and 10-year-old twins Knox and Vivienne. Jolie filed for divorce from Pitt back in September 2016. At the time, the pair had been married for two years and together for over a decade. They met while making 2005’s Mr. & Mrs. Smith, in which they played husband-and-wife assassins for hire. Pitt was married to Jennifer Aniston at the time but, following their divorce, Pitt and Jolie began publicly dating after the movie premiered. Since their highly publicized split in 2016, numerous reports have claimed communication between the two has been contentious, particularly regarding custody. However, it would seem they’ve turned a corner on that front. “Both parents are focused on what’s best for the kids,” a source told People on Saturday. 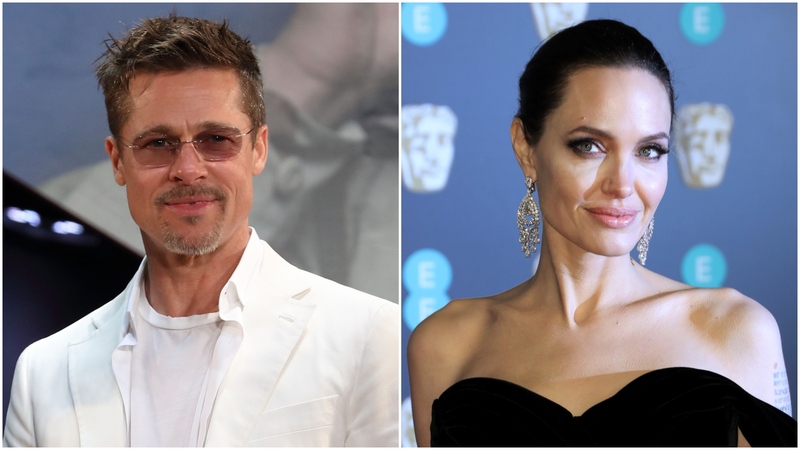 In addition to caring for their large brood, Pitt and Jolie undoubtedly have plenty to keep them busy as they officially say goodbye to their marriage. In July, Pitt stars in one of the summer’s most highly anticipated movies, Quentin Tarantino’s Once Upon a Time in Hollywood. As for Jolie, October will see her return in the Disney sequel Maleficent: Mistress of Evil.